A site for the national CTC. 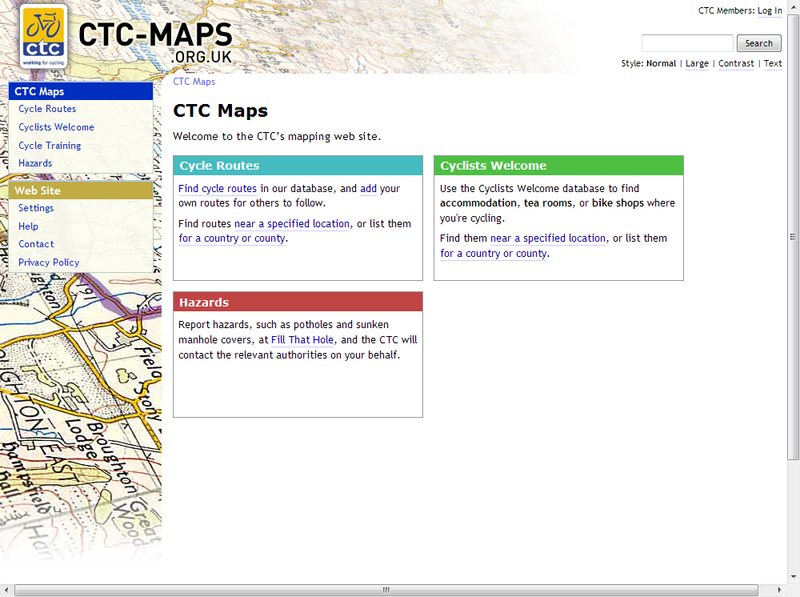 Originally designed to make the CTC’s extensive route library more accessible, the site has expanded to include other location-based information. The site uses Google Maps extensively, with many customisations. Fonant created and hosts the entire site, apart from the graphics featured as backgrounds behind the header and left menu. Route descriptions can vary dramatically, from “diary”-style essays to recorded GPS tracks. The aim is to allow all types to be stored and retrieved. 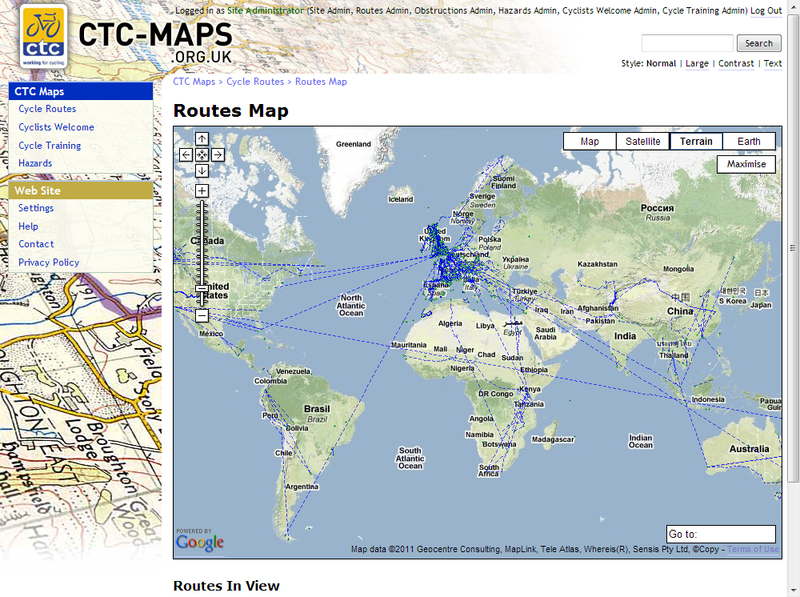 Existing CTC routes, as Microsoft Word documents, also needed to be included in the routes database. These have all been converted into PDF files to allow anyone to read them and for reliable printing on any computer. 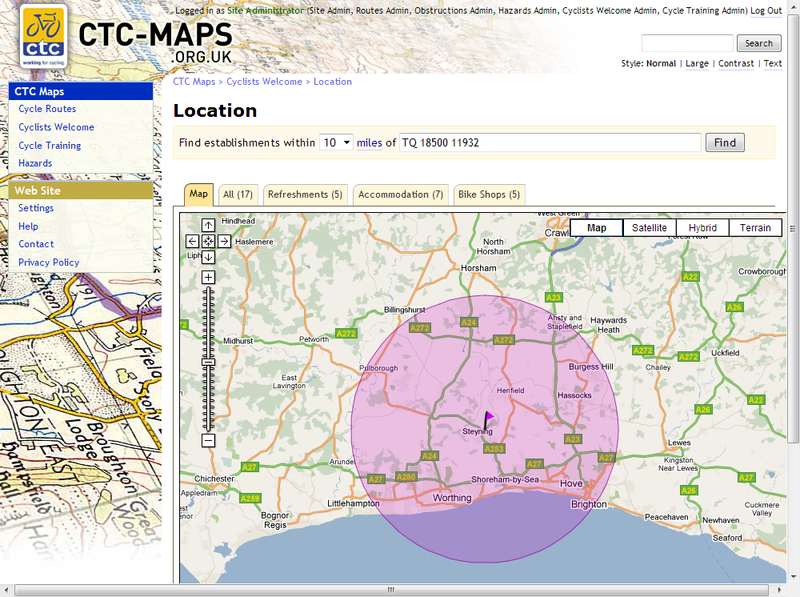 The maps only work sensibly with up to a few hundred markers or lines being displayed at once. For the global routes map the site uses overlay tiles to draw the route lines, so the map remains responsive even with thousands of lines and points. The site accepts routes in GPX and KML file formats, both of which are used in different ways by different programs. The file reading code therefore has to be robust to handle all potential variations of these file formats.